No. 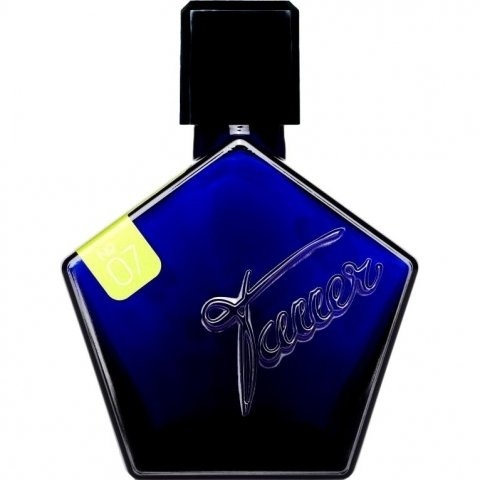 07 - Vetiver Dance is a perfume by Tauer Perfumes for women and men and was released in 2008. The scent is green-spicy. The longevity is above-average. It is still in production. I find this one very very interesting, and unique (like many of Andy Tauer's creations). In the beginning I get a very spicy and dry intense Black Pepper accord, followed by a grapefruit that lifts it up to give it a bright, sunny impression. The Pepper is joined by very dry, almost burnt-like Herbs (the Sage note). Initially I was afraid of trying this as I thought that Lilly-of-the-Valley would remind me of old lady perfume, but in my opinion it works wonderfully here! Paired with the rose it gives the whole composition a floral warmth that really makes it interesting. The Vetiver itself is dry and earthy, and by the time the ambergris joins in, almost salty. It's a very interesting fragrance in that it is a mixture between very dry notes (Black Pepper, dried Herbs, Vetiver, Cedarwood, Ambergris), and very lush notes (Grapefruit, Rose, Lilly-of-the-Valley). I also get a hint of the Andy Tauer signiature at the dry down (all of his dry downs are usually the best part of his fragrances), which is something close to an incense like vibe. It's really great, like dried grass and leaves near a swamp. I love Vetiver but this fragrance made me love Vetiver even more. I should also point out that if you are new to Vetiver as a main note in perfumes, you may not like this one. I find that I can only appreciate this after trying other Vetivers... and whilst I still love Guerlain Vetiver I really commend Andy Tauer for taking the note and doing something totally different here. Overall, I find this perfume very bewitching and a little mysterious, so I call it the "Gypsy Vetiver", and I imagine that the Vetiver here is like a Gypsy dancing at a campfire in the night forest, surrounded by the other players. There are herbs next to a burning cedarwood fire, not far from some swampy riverbank, where dried leaves and rushes hang over the warm, tranquil water. I picture her wearing a dark green velvet shawl. That is the colour I associate with this one. Dark, mysterious, hypnotic. A perfect composition fitting of the name "Vetiver Dance". Write the first Review for No. 07 - Vetiver Dance!